According to the World Bank Financial Management Manual, financial management is a process which brings together planning, budgeting, accounting, financial reporting, internal control, auditing, procurement, disbursement and the physical performance of the project with the aim of managing project resources properly and achieving the project’s development objectives. As this website is based on the standards set by the PMBOK®, my focus is to cover hereafter those parts of financial management that are rather not taken into account in the project cost management according to the PMBOK®. The Project Financial Management Plan is a part of the Project Management Plan and is especially important for construction projects. Therefore to continuously monitor the project finances and to ensure the company's financial capacity to complete the project are the most critical finance manager jobs. This also includes the assessment and monitoring of financial risks and the implementation of suitable financial risk management strategies. 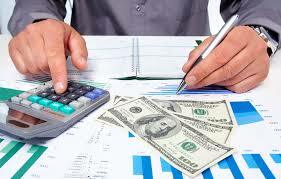 Project financial management planning is the initial phase of financial management. It identifies and provides all financial requirements for the project and assigns financial management roles and responsibilities. Tax and other financial factors planning. Estimate cost is the process of developing and approximation of the monetary resources needed to complete the project works.